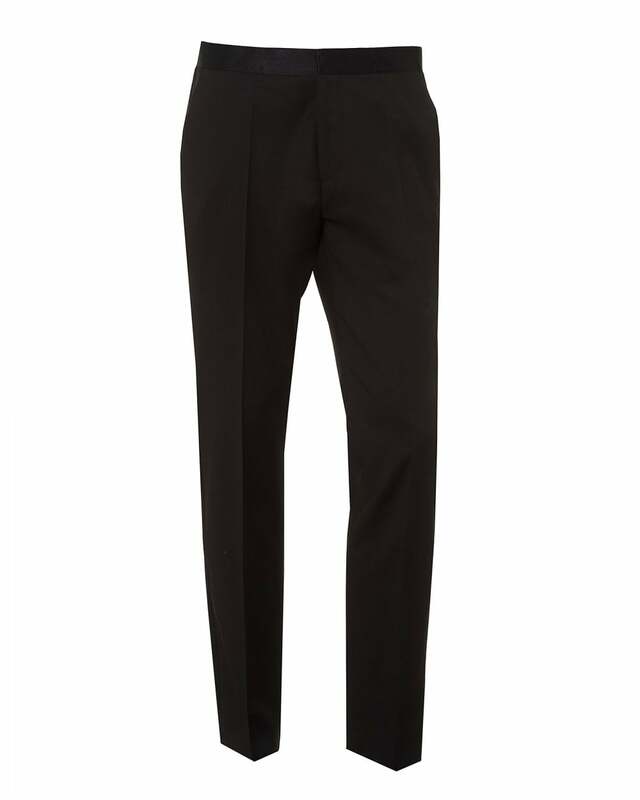 These streamlined sleek black trousers by BOSS Business are part of their formal range and will complete any special occasion outfit. Featuring satin accents down the leg, button and zip closure. Wear with a tuxedo jacket and Oliver Sweeney shoes.